“Imagine” my 24″ x 30″ acrylic on canvas painting has been selected for inclusion in the juried show ” Better With Age”. 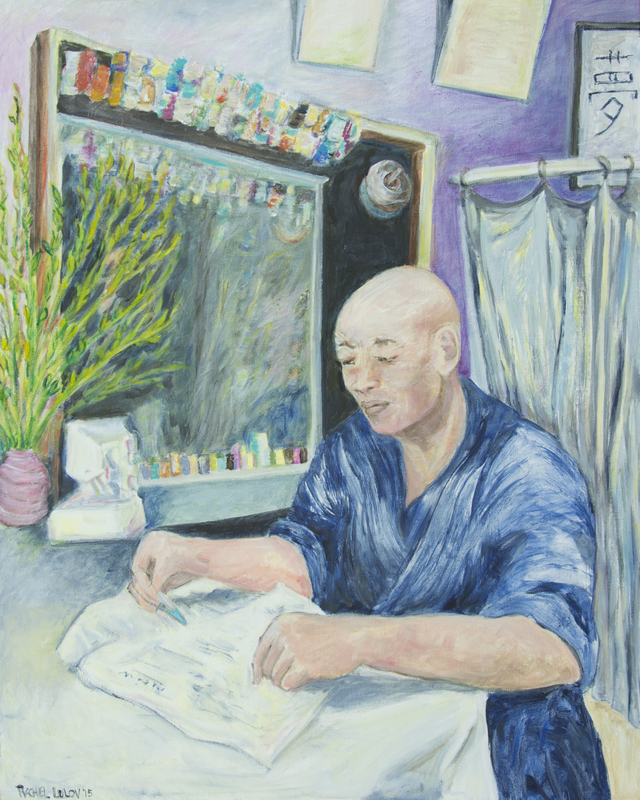 It is a portrait of the inner life of a tailor. The opening reception is on October 10, 2017, at the Maggi Peyton Gallery in the Borough President of Manhattan’s office, from 6pm to 8pm. “Better With Age” will be on exhibit from October 10, 2017 through November 1, 2017. Borough President of Manhattan Office, 1 centre Street, 19th floor. Enjoy the exhibit and be sure to snap a few photos of the spectacular views from the gallery and office. Tagged "Imagine", Better With Age" exhibit, exhibit Manhattan Borough President office, Maggi Peyton Gallery.